During my Bangkok trip, the highlight was food, food and more food. Since I am not much of a shopping person, it was inevitable that food took centre stage. However, not only did I enjoy eating food at restaurants and shops, I also enjoy eating late night snacks and takeaway food in my hotel room! 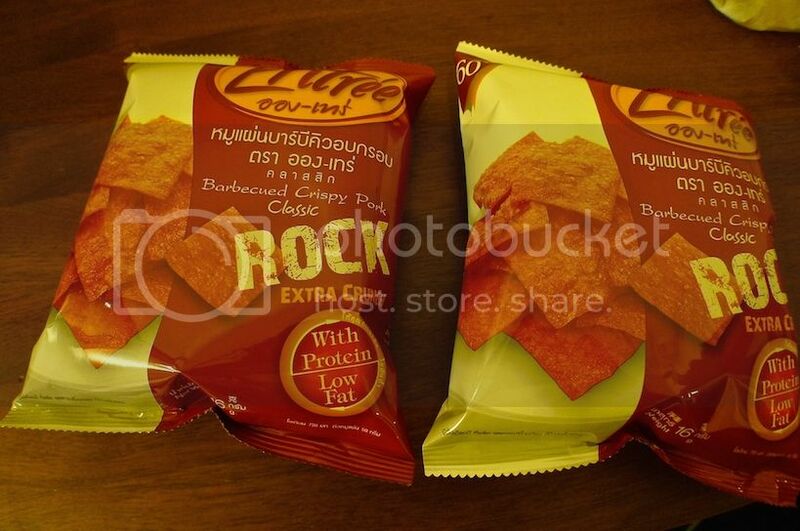 One of my favourite snacks was Barbecued Crispy Pork bought from 7-Eleven stores at 20 baht per pack. 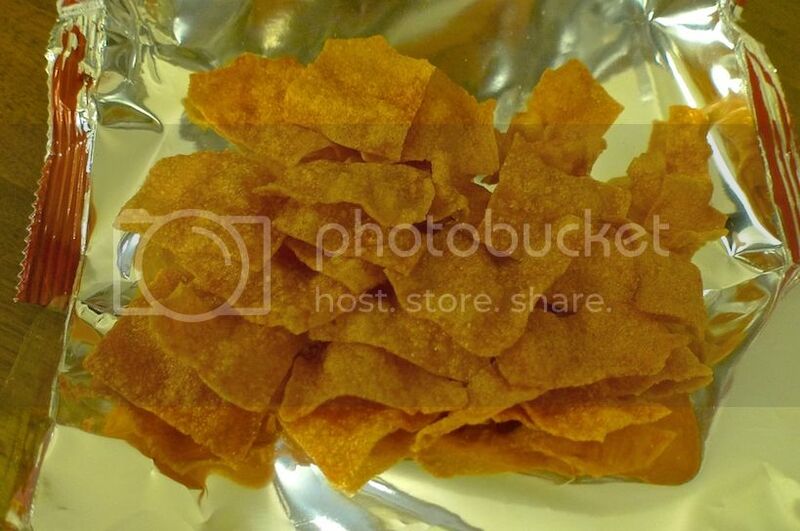 The pork chips were delicious and addictive! I love snacking on them while watching TV in my hotel room. Lol. So unhealthy right? 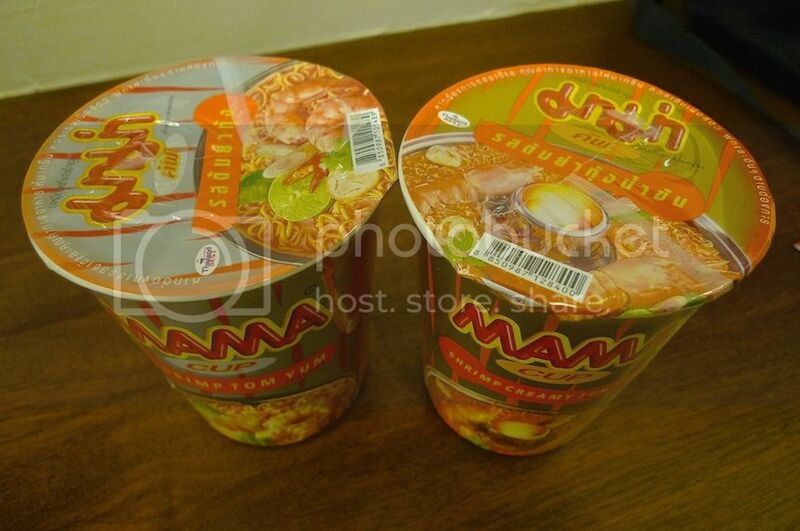 But let's be even more unhealthy by adding Mama Cup Instant Noodles to my late night snacks! 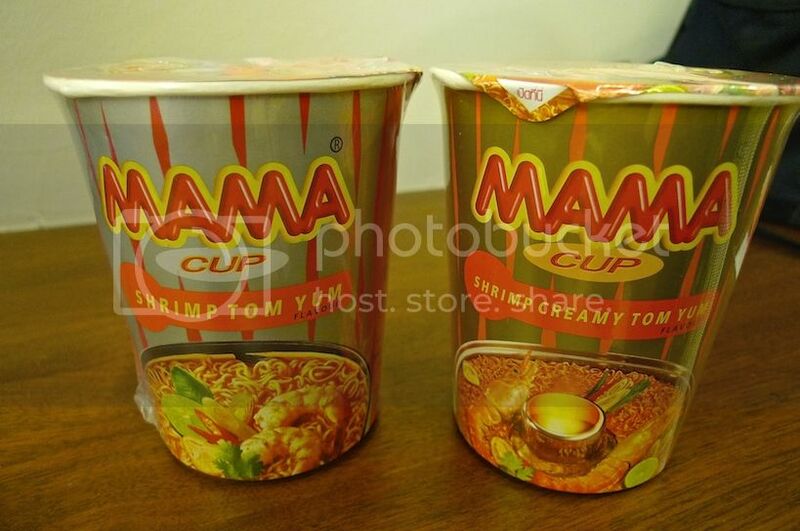 My two favourite flavours from Mama Cup - Shrimp Tom Yum and Shrimp Creamy Tom Yum. 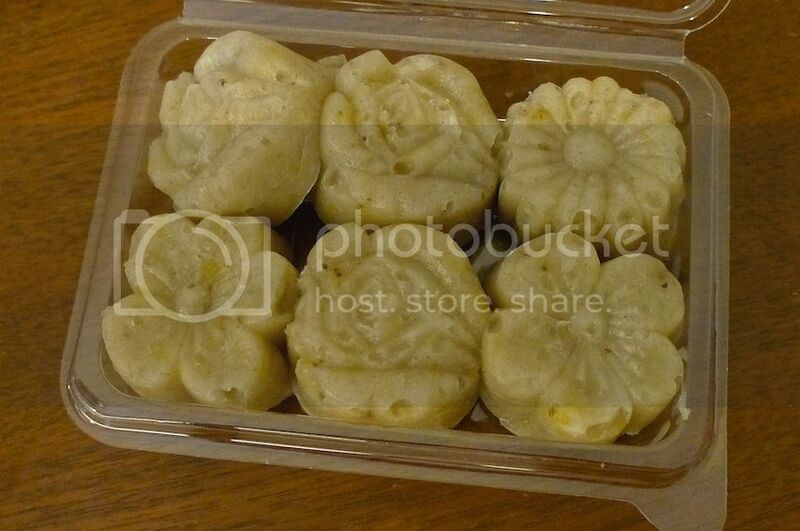 Yes, you can easily get them from any 7-Eleven stores in Bangkok at 13 baht per cup. 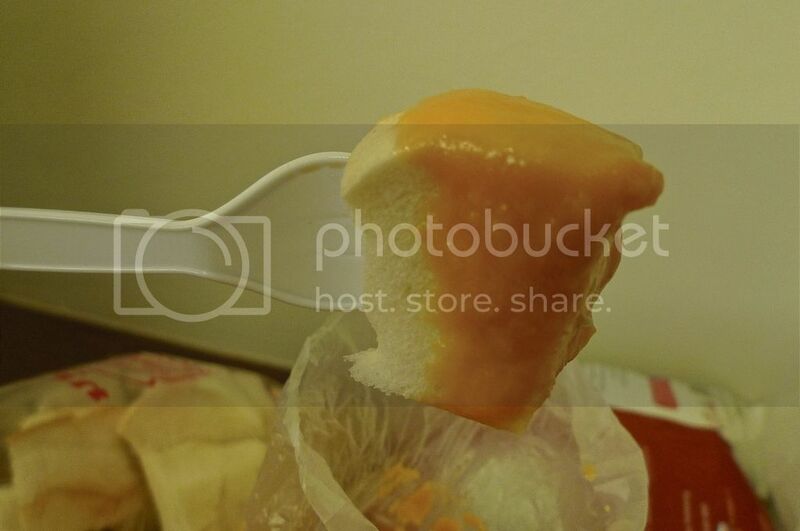 Just pour boiling water into the cup and you are good to go! Look! 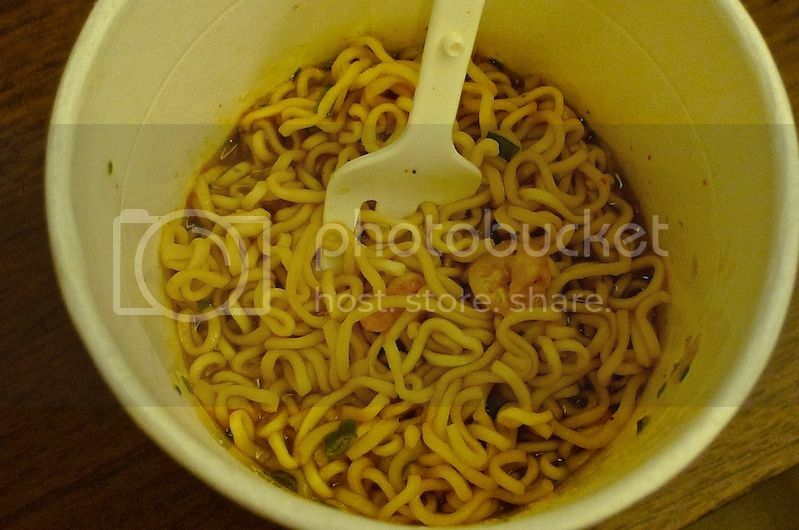 There really are shrimps inside the cup! The tom yum soup was really delicious! Spicy and sour - a lethal combination. 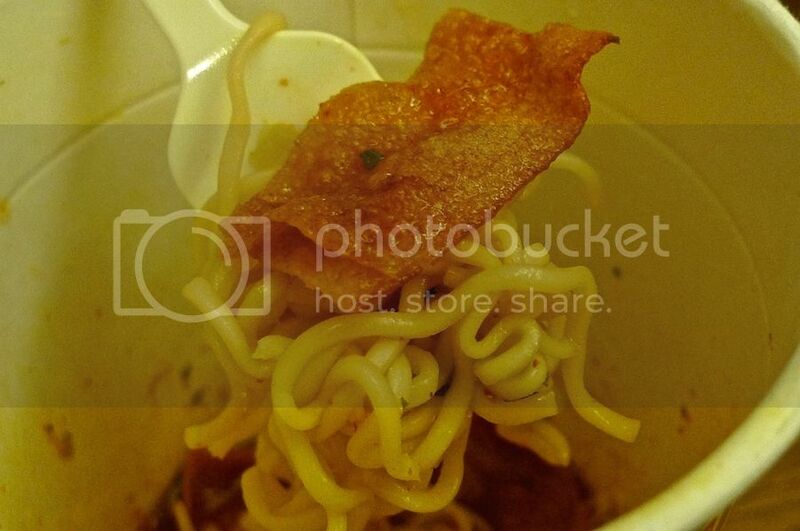 OK, how about combining the Barbecued Crispy Pork with the Mama Cup Instant Noodles? Try it at your own risk, though. Lol! You can't have snacks without drinks right? 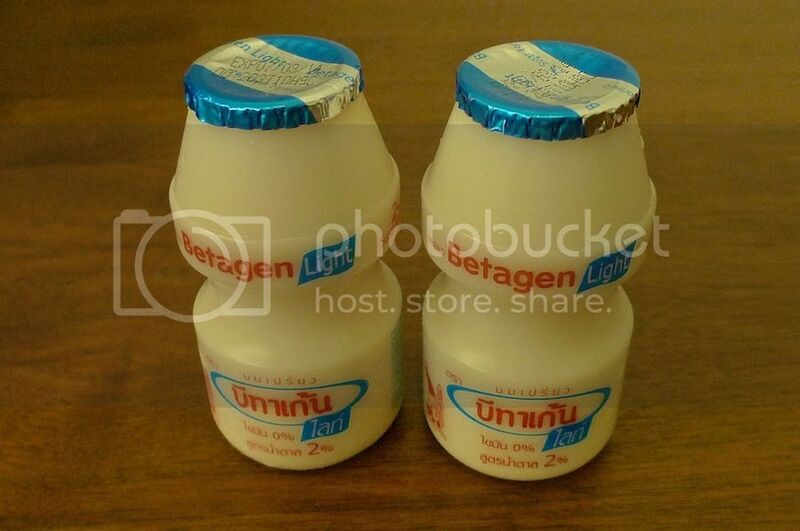 So do not forget the Betagen drink, also available at all 7-Eleven outlets in Bangkok. 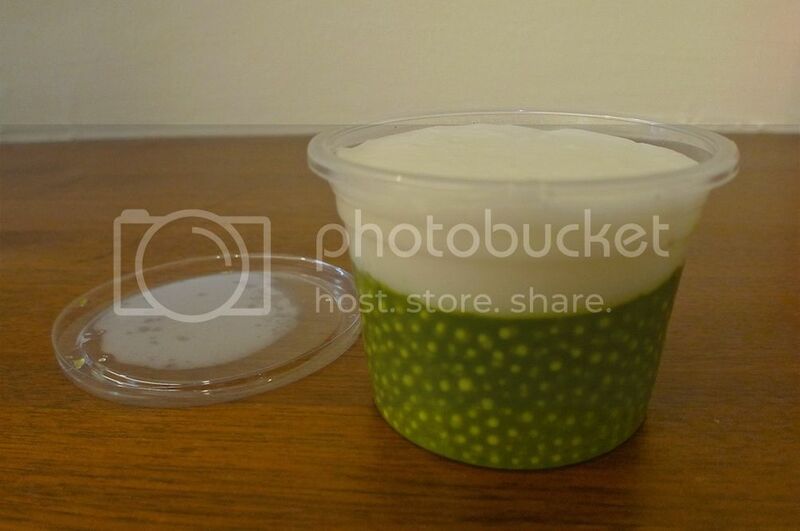 The Betagen drinks, similar to the famous Yakult probiotic drinks, were so yummy I could drink them all day. 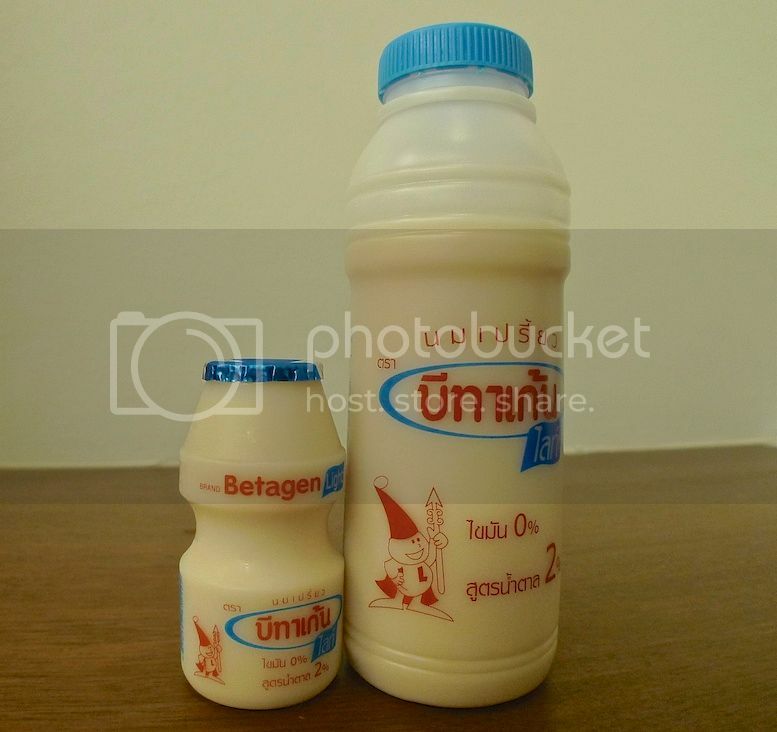 I bought the small sized Betagen at 7 baht per bottle. But then it's better and more value for money to buy the bigger sized bottle at 20 baht. OK, I think that the Betagen is at least slightly healthier than the Crispy Pork chips and the Mama instant noodles so it's not all unhealthy stuffs here. LOL. 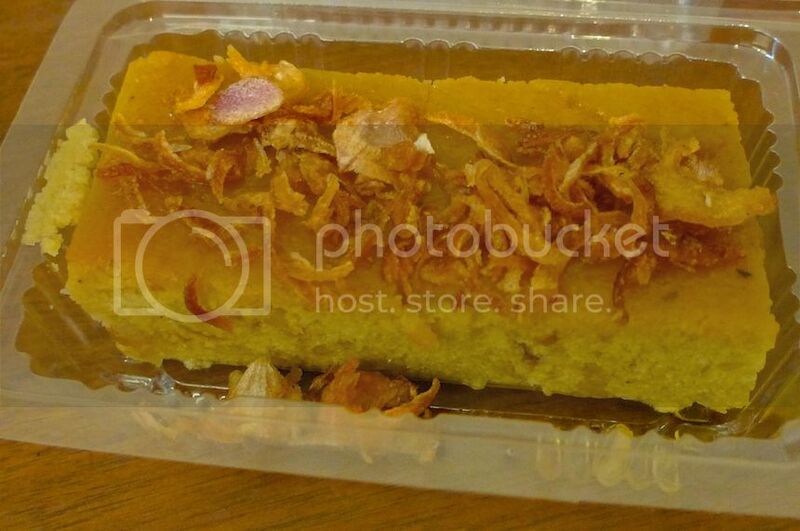 Craving for desserts for your late night snacks? 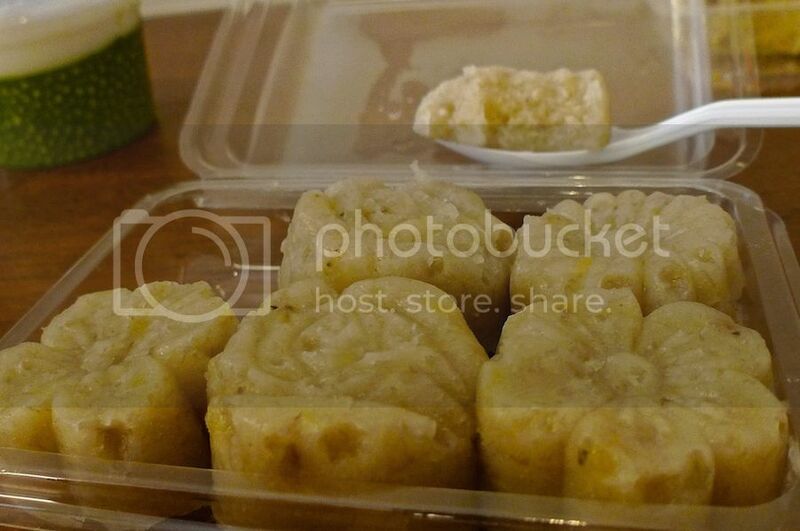 Try takeaways from the famous Boonsap Desserts! 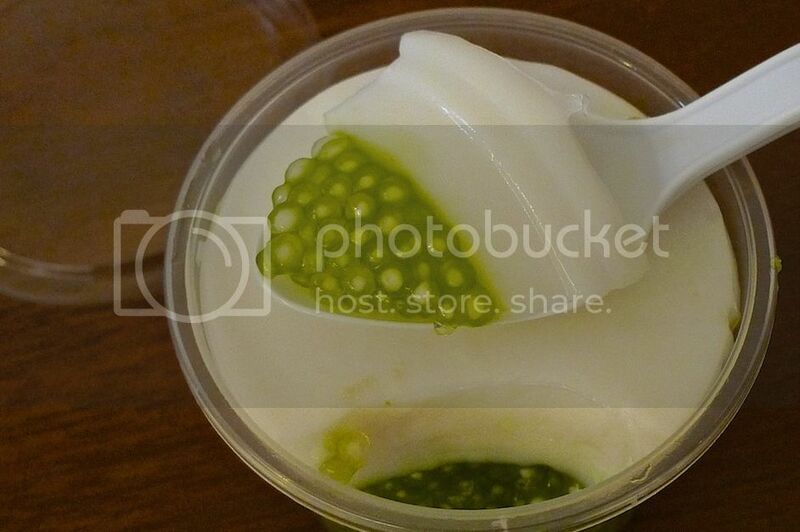 Read about my experience at Boonsap Desserts HERE. During this trip, I bought three desserts as takeaways and ate them all in my hotel room! Haha. 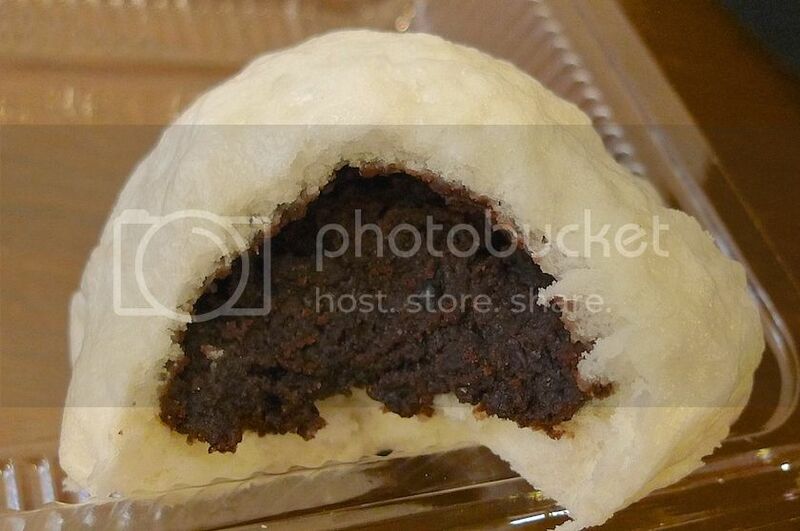 The mungbean cake was pretty yummy! I did not really like these banana cakes, though they were pretty cute! 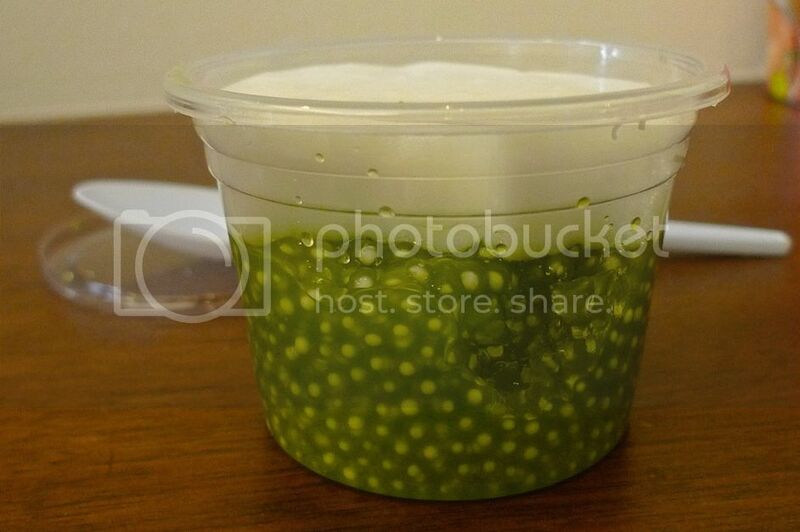 The sago custard was not too sweet and was quite delicious! Could not remember the price for each of the desserts, but total price was 70 baht. 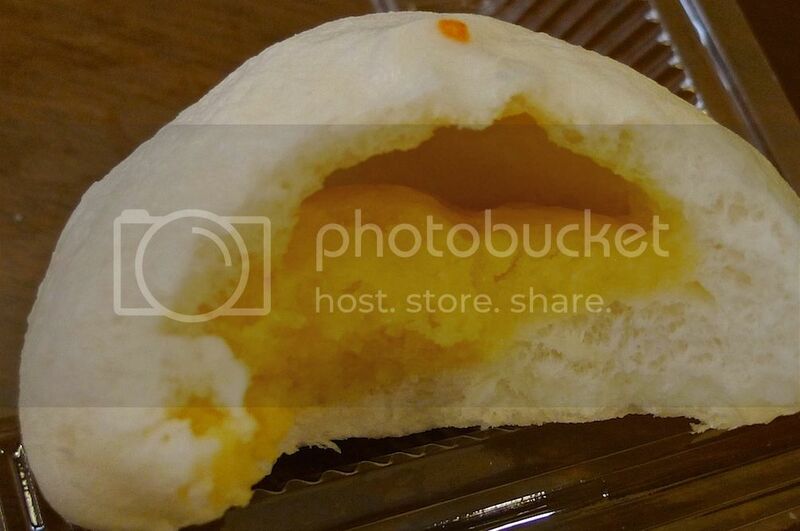 If you have a thing for Chinese buns (known as bao), then it's a good idea to head over to Waraporn Salapao to buy some for takeaway. 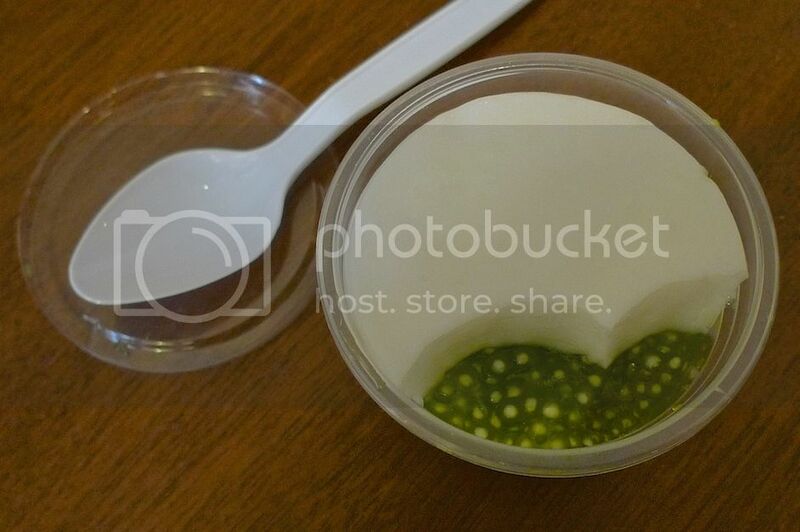 Read my post on Waraporn Salapao at Robinson Bangrak HERE. 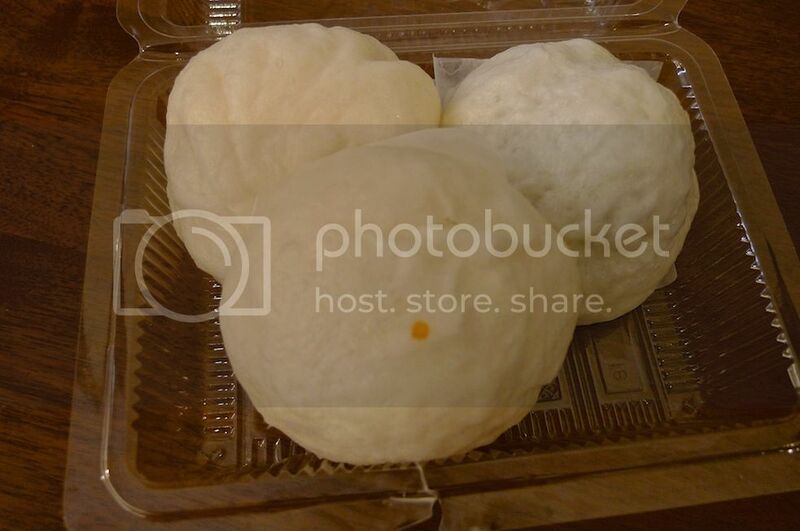 During this trip, I bought 3 different buns to consume during my late night supper in my hotel room. I must admit however that these buns taste better when eaten warm, so it actually may not be a good idea to buy them to be eaten later. 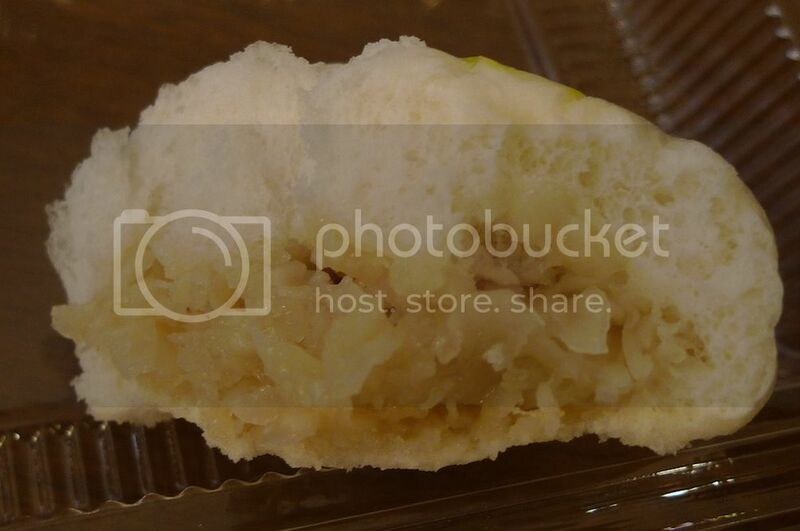 I like this cream bun, although I was quite disappointed with the fillings which was a bit dry. Looked like the quality had dropped somewhat compared to my previous visit. This was good, but it would probably taste better when eaten warm. 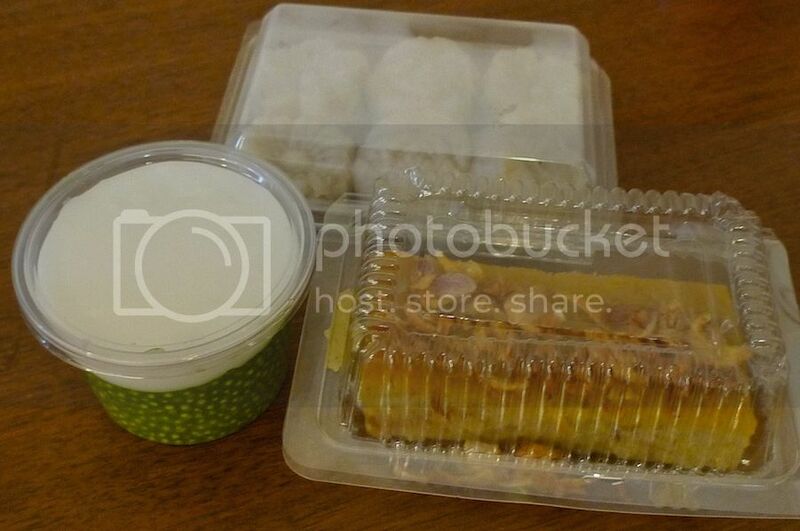 How do you like the idea of dipping steamed bread into coconut custard (kaya)? 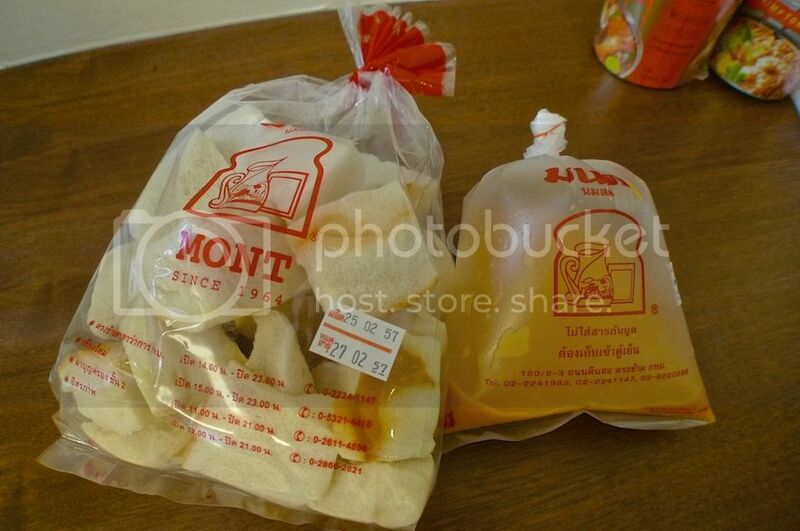 You can buy them both at Mont Nom Sod located at MBK mall in Bangkok. That's exactly what I did. Read my blog post about Mont Nom Sod HERE. 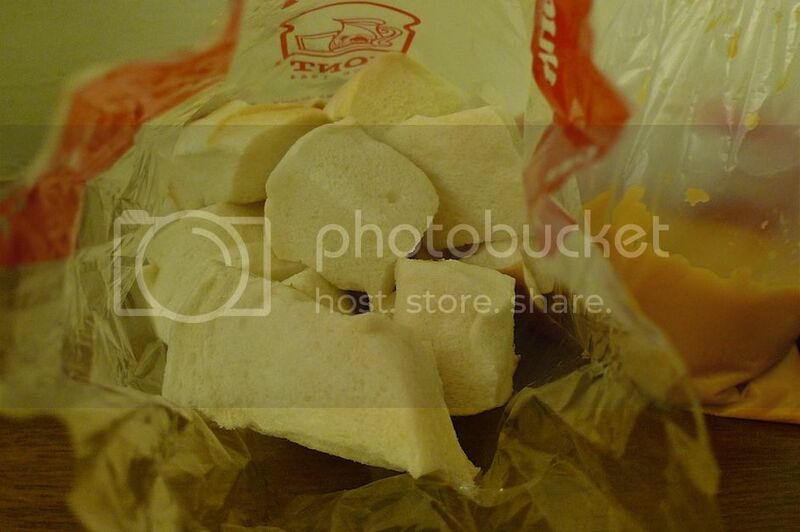 The steamed bread was cut into cubes so that makes it easier to dip them into the coconut custard. Now I wish I am in a nice Bangkok hotel room feasting away on all these delicious snacks and desserts!